Have you seen all the springtime projects from our Countdown to Spring Party? I’ve gathered together 20 DIY Spring Wreaths linked up to the party that caught my eye. I hope they give you some crafty inspiration and motivation to create one of your own. Last week I demonstrated how to make this Spring Wreath is less than 20 minutes. Now if this little Bunny Boxwood Wreath by Tricia at Simplicity in the South doesn’t put a smile on your face, I don’t know what will! 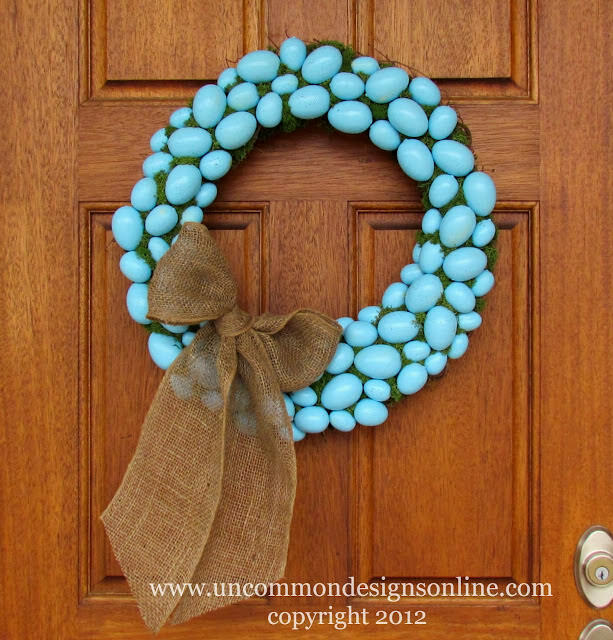 Who can’t resist a pretty Blue Robin’s Egg Wreath by Trish at Uncommon Designs. Jenna at SAS Interiors created a Whimsical Spring Forsythia Wreath. 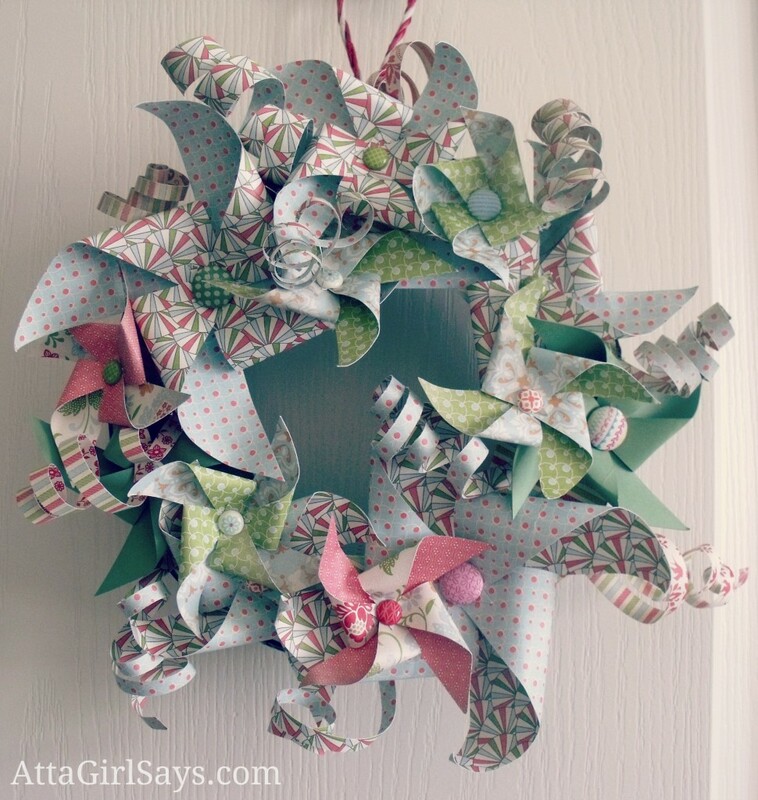 I adore this Paper Pinwheel Wreath made by Amy at Atta Girl Says! 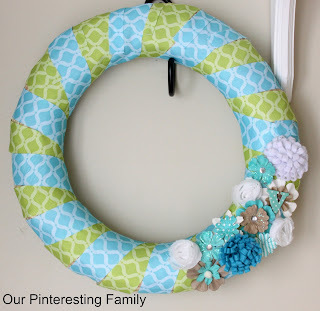 Megan at Our Pinteresting Family created a pretty turquoise and lime ribbon Spring Wreath. 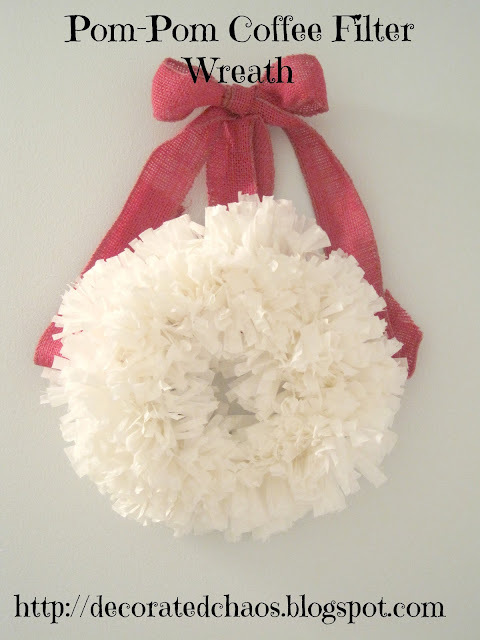 Jennifer at Decorated Chaos made a super inexpensive fluffy Pom-Pom Coffee Filter Wreath. 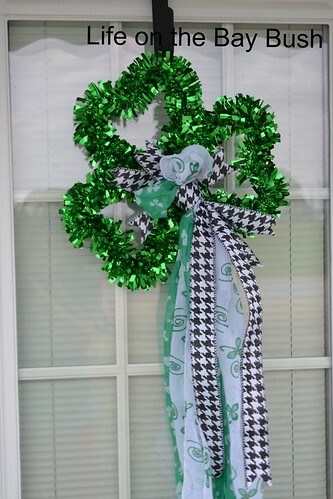 Get in a St. Patrick’s Day mood with a Shamrock Wreath by Laura at Life on the Bay Bush. Isn’t this small burlap & fabric wreath by Diane at An Extraordinary Day sweet? Melissa at Daisy May Belle gave an old frame new life by creating a Burlap & Moss Monogram Wreath. Mallori at Vintage Finds creates a Spring Moss Wreath. Christy at Confessions of a Serial DIYer made this Twig Wreath from twigs in her yard! Now that is up-cycling! More mossy goodness by Paula at Virginia Sweet Pea– Spring Nest Wreath. Steph at the Silly Pearl created a Spring Yarn Embroidery Hoop Wreath. 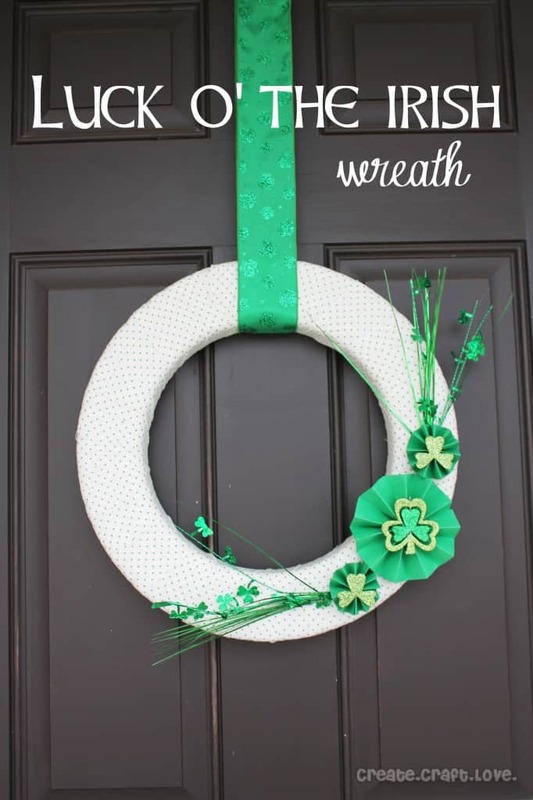 Bring in some luck with a St. Patrick’s Day Wreath by Jill at Create Craft Love. Create a simple and cheerful Moss and Burlap Wreath. This one is by Michele at the Scrap Shoppe Blog. This Burlap Twine & Butterfly Wreath is by Patty at Crafts n’ Coffee. Carissa at Creative Green Living made a Cherry Blossom Wreath. 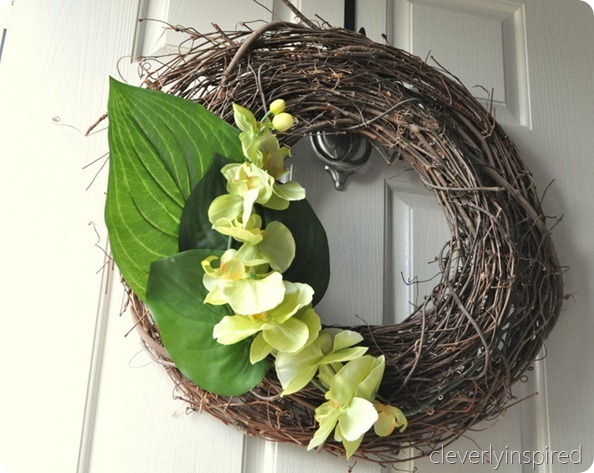 Two Minute Spring Wreath by Tracie at Cleverly Inspired. The Countdown to Spring Party is still going! Today Mary Ann at Domestically Speaking is hosting it and she is showing us her gorgeous spring mantel. Here is a sneak peek of it below! So head on over! Thanks Kim for adding my turf wreath to your features. Funny I just posted my ‘turf letter’ front door decor yesterday, you must have esp! All these wreaths have me feeling Spring, such fun and fresh ideas. 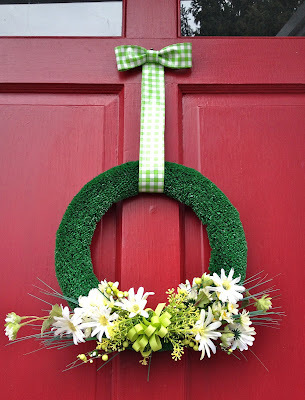 Thanks so much for featuring my Shamrock Wreath! Thanks so much for including my moss & burlap wreath, Kim! I’m always looking for some fun wreath inspiration. Love this round up!! What I love most about these wreaths is that they look so simple to make, but yet are beautiful. Thank you so much for including my spring wreath. 🙂 You’ve shared so many beautiful ideas. Enjoy your weekend, Kim! Thank u for the festure! there r so many adorable wreaths and im pinning this! Thanks for featuring my pinwheel wreath. So much amazing front door inspiration in this roundup. Wow all of these look amazing and I agree most of them look easy to make! Love the ideas, great roundup! Astro turf and pinwheels — what a fun collection! I love them all. 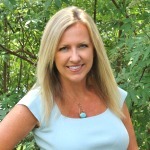 Thank you so much, Kim for featuring Patty Schaffer’s Burlap, Twine & Butterfly Wreath. 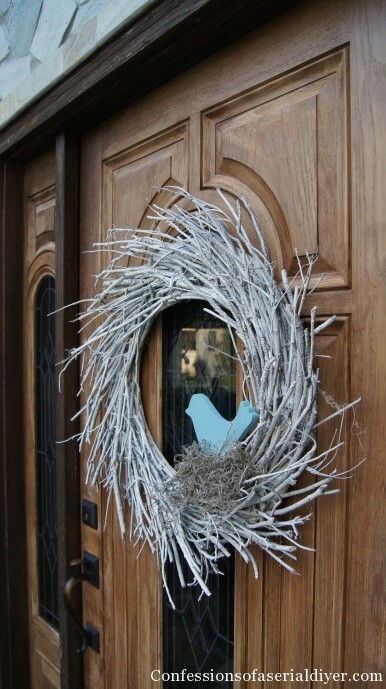 Thanks so much for sharing our Robin’s Egg Blue Wreath. What an amazing collection of wreaths! Have a nice weekend!